When you’re an indie filmmaker, you have good days, bad days, and just days. I would call this one of the good days. I’m currently working on a project featuring James Beard award-winning chef Tiberio Simone, who uses the human body as a playground for his culinary imagination. Thanks to La Figa Project photographer Matt Freedman for sharing this photo, and to Stella, our beautiful and tireless model. This entry was posted in News, Video clips on October 26, 2010 by Dan McComb. I’m gearing up to do some serious traveling with my camera gear, and discovered that plastic shipping cases big enough to together hold my tripod and Glidetrack cost nearly as much as the equipment it’s designed to protect. 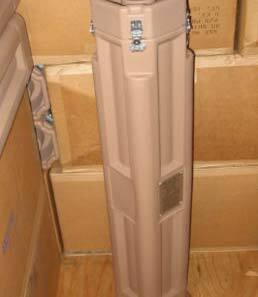 So I did some digging on ebay, and hit gold: these military surplus shipping tubes costs just $34 each. 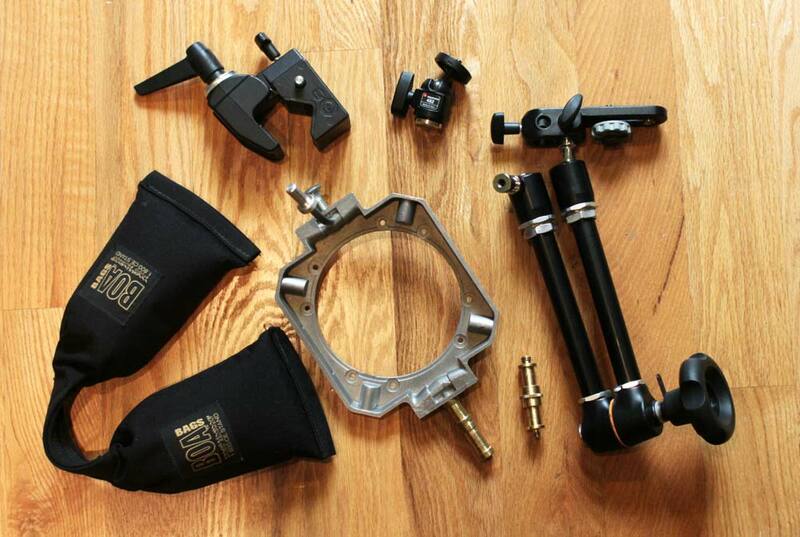 They’re are a perfect fit for a Glidetrack (with feet removed) and most HD video tripods. With shipping, which is a bit spendy for these oversize items, the total came to just under $60. Compare that to the least expensive Tuffpak case I could find on B&H, which will set you back $249. This entry was posted in Tips on October 26, 2010 by Dan McComb. Love my Glidetrack. But is tracking past something as powerful as gliding over it? I often find myself wanting to aim the camera parallel with the track rather than at right angles. Can’t do it, though, because the end of the track gets into frame when the camera is angled more than about 45 degrees (with any wideish lens). I tried mounting the camera on a Manfrotto magic arm, and quickly learned that balance really matters with these lightweight rigs: as soon as you move the camera off center of the Glidetrack, smooth moves become impossible. However, with a few parts and attention to balance, I’ve found a way to turn my Glidetrack into a Sidetrack. To illustrate the difference, here’s two short clips filmed on my desk using Canon 60D (above) and Glidetrack. The first is shot with the camera mounted on the track conventionally, at a 45 degree angle. 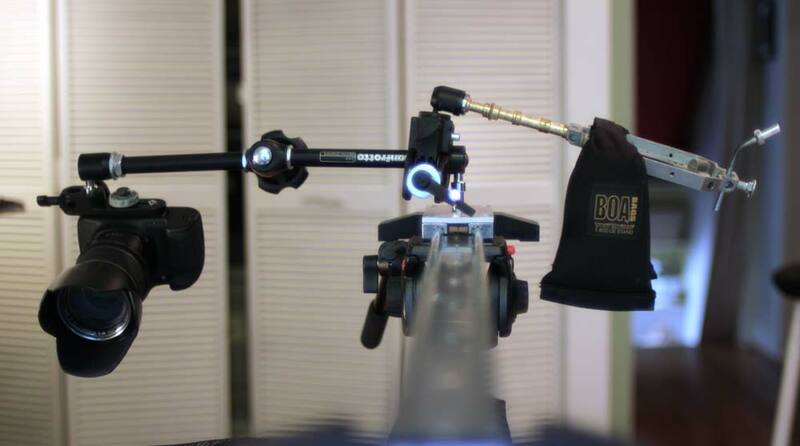 The second was made using my sidetrack rig, shown in the stills below. There’s probably a simpler way to do this, and if some third party made it (affordably), I’d probably buy it. I love this kind of flyover shot. (Note: the metal piece in middle is a speed ring for a soft box). This entry was posted in Tips, Video clips on October 25, 2010 by Dan McComb. I just finished a fantastic 6-week course, Sound Design for Pros, with legendary sound designer David Sonnenshein. What’s cool about this course is that it was taught entirely online, with about a dozen students from places like Amsterdam and Italy logging in to a live workshop in which, in addition to live lectures from David, we took turns broadcasting our own work and getting critical feedback. Today David made the recorded version of the workshop available, for a limited time, at a fraction of the cost. Here’s the trailer and info – if you’re a filmmaker looking to take your sound design to the next level, this is a screamin’ deal. David is an outstanding educator and one of the great minds on the audio side of filmmaking today. Access your power as a sonic storyteller with the master coach David Sonnenschein, author of "Sound Design: The Expressive Power of Music, Voice and Sound Effects in Cinema." For a few days only, the full 12 hours of class recordings are available for you at over 60% off the live webinar cost, normally $250. 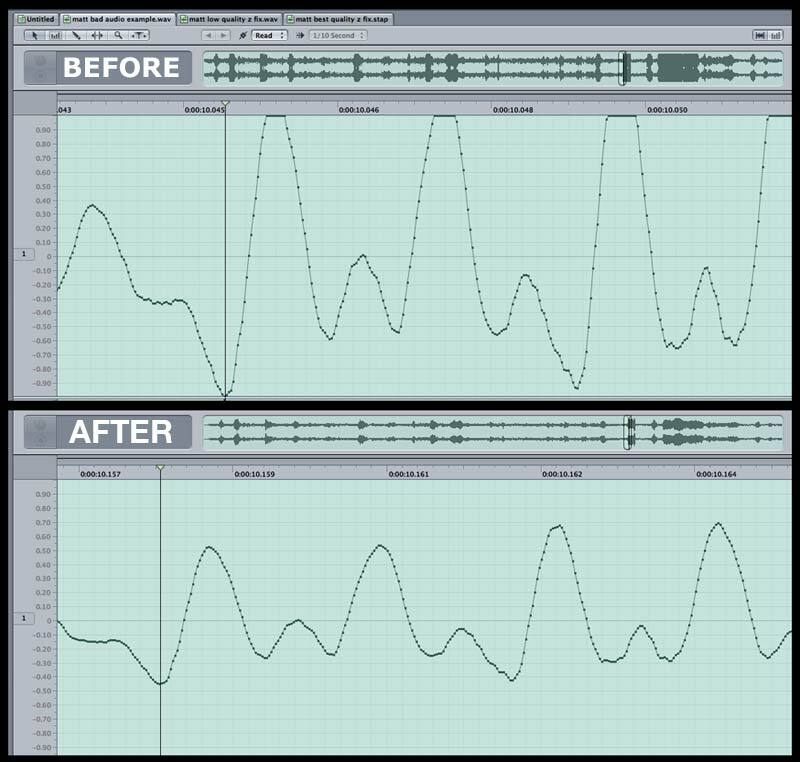 Now at $95, that’s less than $8/hour for the only online master class available in theoretical and practical sound design. This entry was posted in Tips on October 20, 2010 by Dan McComb. 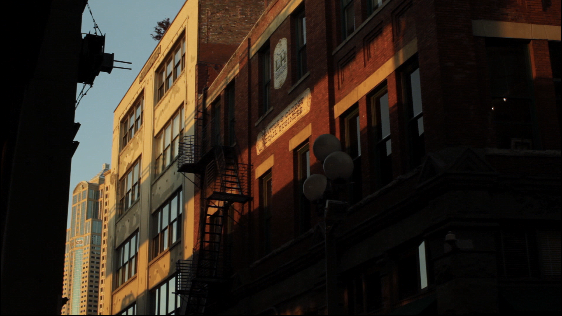 Last evening I was in Pioneer Square with a few minutes to kill before I could get into a studio for a shoot. I noticed the exquisite moving shadows cast by the rush hour traffic, so I grabbed my Canon 60d with 35mm Nikkor, and shot two clips. I’m posting them to show how BAD brick buildings can look filmed with a dslr, alongside the second clip to show how GOOD they can look. (Tip: you really need to view this clip at full screen size to appreciate it). Key takeaways: you CAN shoot brick buildings with these cameras. You just have to be very, very careful. First, don’t move the camera if your shot is full of complex lines. Second, if your shot is full of complex lines, reduce the complexity by changing your angle or distance. Third, soften the shot a little by shooting on the open side of your aperture ring, rather than the closed side. Finally, go ahead – soften the image further by blowing it up in post if you need to. I distorted the upper edges of the second clip to make the lines more vertical. Normally this introduces a bit of unwanted softness, but in this case, it’s a good thing. This entry was posted in Tips, Video clips on October 19, 2010 by Dan McComb. If you’ve been reading the same audio books as me, you’ll know that the cardinal sin of digital audio is recording too hot. You NEVER want signal above 0 db. Once that happens, you might as well throw the whole thing out and reshoot. Or so the experts say. But this weekend I messed up. I wired a lav to a Zoom H1, planted it on my subject, took a guess at the recording levels, hit record and let it roll for 8 hours (until the batteries died – it was a long day). 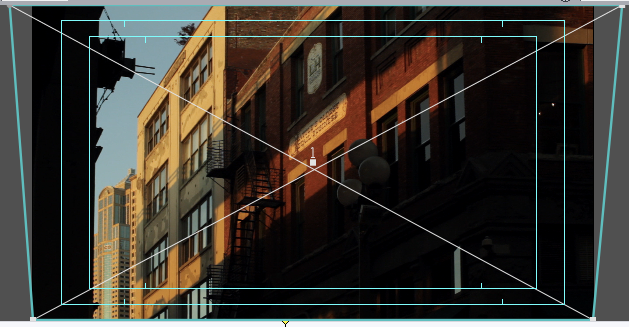 Later in post, I synced everything I’d shot during the day with PluralEyes. Piece of cake…except that my subject was in and out of cars, working crowds, basking in applause, oh, and he happens to be Italian, no stranger to high-spl outbursts when cute girls are nearby. Every time one of those things happened, I got clipped audio. Next time, I’ll remember to set the audio levels REALLY REALLY LOW. But what about THIS time? I looked up audio clipping on Wikipedia, and breathed a sigh of relief when I read this: “It is preferable to avoid clipping, but if a recording has clipped, and cannot be re-recorded, repair is an option. The goal of repair is to make up a plausible replacement for the clipped part of the signal.” Wikipedia even pointed to a couple of tools. But none of them worked for me. After trying out the demo version for 30 minutes, I was happily forking over my credit card number for the $250. Yep, it’s really that good. And a snap to use. It comes with a whole suite of other audio repair tools, such as a de-crackler, de-hisser, and de-noiser. And best of all, they work as plug-ins with Soundtrack Pro, so I can stay inside my favorite tool to use them. This entry was posted in Product reviews on October 14, 2010 by Dan McComb. Check this out: a simple shot of a lamp in my back yard, at different apertures on open end of my prized Nikon 35mm 1.4 lens. This is the lens that Nikon made during the 70s using radioactive glass (really) and as a result, today the lens has a very warm cast caused by the decaying isotopes. It’s the perfect lens to warm up those cool cloudy days in Seattle. But that’s not what caught my eye about this sequence. What I’m blown away by is how very, very different the image looks at each of these apertures. Check out the huge difference between 1.4 and 2.0, for example. All the way open, the background almost looks painterly, like you can see brush strokes. But the detail in the foreground is noticeably less sharp. That cleans up instantly at 2.0. The background strokes are still there – just a hint. This is pretty much the sweet spot of this lens. Anyway, no reason for sharing this today except that it’s good to remember exactly what your lenses can do, and shooting a series like this really makes it startlingly clear. This entry was posted in Tips on October 8, 2010 by Dan McComb. I’ve been a Kickstarter member for awhile now, but this is the first project I’ve helped fund: The Glif iPhone 4 tripod. It’s a slick, simple little device that attaches to your phone and turns it into a tripod, as well as a stand, and an antenna protector. I’ve already got a tiny tripod for my iPhone, but it was so cheaply made that it broke in the first 48 hours of use, and is now limping. I hope the overwhelming success of this project – which has already received more than 600 percent of the money it set out to raise – sends a message that there is a lot of demand for well designed video and photo related accessories for iPhone 4. It’s a great little camera, and with this, even better. This entry was posted in Product reviews, Video clips on October 6, 2010 by Dan McComb. I shot this wonderful pro-bono gig over several BeatWalk evenings this summer, and then got busy and couldn’t find time to edit it until 4 am this morning – 5 hours before the Beatwalk board was meeting to review it. I made the deadline…although I didn’t have the color corrected and audio sweetened version wrapped until this evening. Anyway, it’s done, I like it, and best of all, the client likes it. Sigh, without deadlines, I’d never get anything done. Next! Special thanks to BeatWalk organizer Julie Dillon, who produced the video and recorded audio for me. This entry was posted in Video clips on October 5, 2010 by Dan McComb.